Having a bad back or painful joint can cause you undue hardship on a daily basis. Our chiropractic services will help give you the pain relief you need. 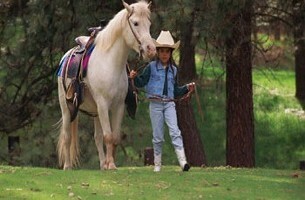 There is no need to let your horse or dog suffer in pain. The professionals at Dubyak Family Chiropractic provide the proper canine and equine care needed for your pets. We believe in community involvement. Try your hand at baking an apple or pumpkin pie for our contests. You may win a cash prize. All pies are donated to the United Samaritan Foundation. Contact us in Turlock, California, for more information on all of our services. At Dubyak Family Chiropractic, in Turlock, California, we help everyone from infants to the elderly regain and maintain optimal health and potential with our chiropractic care services. We have been practicing in Turlock for 25 years. The results we achieve are so unpredictably positive that there is never a list of adverse effects. Chiropractic care is a totally safe way to help with your issues, regardless of your complaint. Remember, if your nerve system is improved your life is improved. We have an almost unlimited number of techniques available to address in order to provide you with the best chiropractic care in a relaxed, convenient, and safe environment. In addition to our many services, we also provide sports physicals for your children. Department of Transport exams for a Class One driver's licenses are also available. You will find our prices are very affordable and for your convenience, we will take care of all billing for you. Hours of Operation: Monday, 8:00 a.m.–12:00 p.m. and 2:00 p.m.–6:00 p.m. • Tuesday, 3:00 p.m.–7:00 p.m.
Wednesday, 8:00 a.m.–12:00 p.m. and 2:00 p.m.–6:00 p.m. • Friday, 9:00 a.m.–12:00 p.m. and 2:00 p.m.–6:00 p.m.